SINGAPORE - Vending machines that slow cook food, serve freshly prepared restaurant dishes and dispense fusion popiah are among the new food options that Singaporeans can expect to see in their office spaces and housing estates in the coming months. 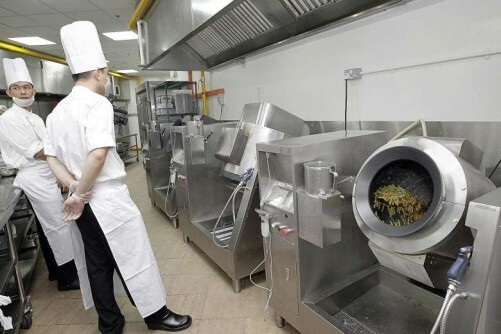 A new wave of machines offering ready-to-eat meals at all hours of the day is part of the Government's plan to make the food service sector more manpower-lean. 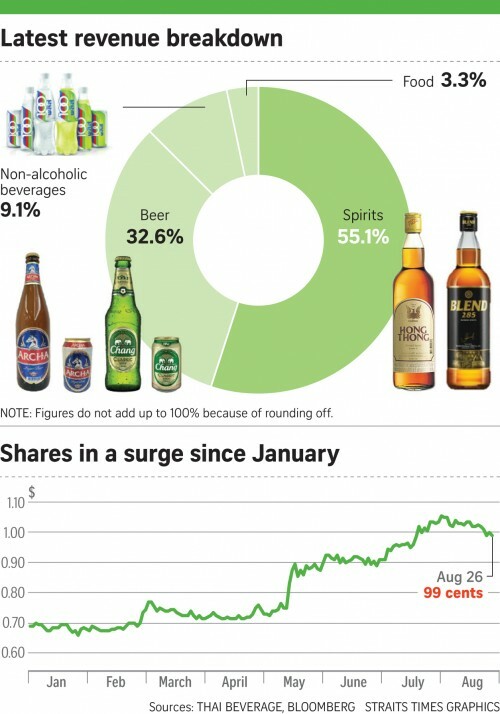 On Tuesday, 16 vending machine companies and technology providers showcased their wares at VendTech Singapore, the first networking event for providers, food and beverage and retail companies and landlords. Nine of the companies have yet to launch here. The event was organised by enterprise development agency Spring Singapore, which is supporting eligible food companies through grants. 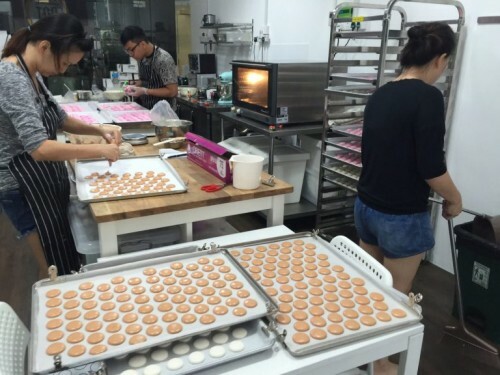 Ms Tong Shuh Lan, food director for the agency's industry and enterprise development group, said the food services industry faces challenges in manpower constraints with increasing wage costs, and high rental costs. "Food vending machines are relatively new to Singapore and present a new distribution channel that is more efficient in the use of space and manpower", said Ms Tong. One exhibitor at VendTech, Mr Popiah, manufactures and supplies popiah skins and ingredients, and also has 11 outlets at coffee shops and food courts. 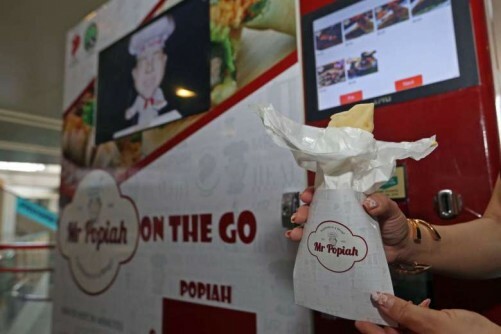 It will launch 10 machines selling traditional and fusion popiah dishes at offices and housing estates by the end of the year. The company is also in talks with malls. Compared to opening a new outlet, a vending machine saves about 40 per cent in cost, while operating 24 hours a day, according to general manager Lewis Tan, 23. 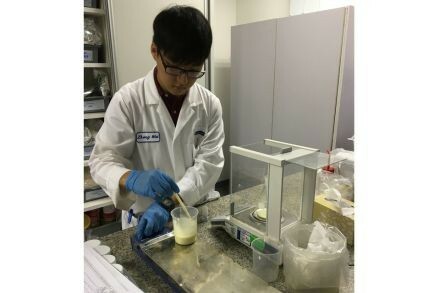 Former national sailor Heng Ri-Liang founded Shake Salad last year, after lamenting the lack of healthy food options in heartland coffee shops. "The healthiest thing I could find was fish noodles, and that's also carbs", he said. High rental costs were not the only reason he decided against a storefront. "It's also outreach; I want to encourage people to eat healthy, and if we have many locations, more people will do so," said Dr Heng, 30. Two of its machines will be piloted in company pantries in two weeks. His business hopes to have 30 machines in office areas, schools and hospitals by the end of the year. Salad Shake offers a choice of four salad bases, five toppings and 10 dressings, each packaged separately and selected by touchscreen. Mr Jing Quek, founder of vending and automation solutions provider Konbini, showcased a "vending oven" at VendTech, which maintains a temperature of between 60 to 70 deg C and slow cooks food. A raw egg put into the machine, for example, comes out soft-boiled. "Rather than pre-cooked food that's kept warm, you can put in uncooked or semi-cooked food. A lot of meats are cooked between the range of 55 to 65 deg C," said Mr Quek, 33. This means that food in the machine can keep for days: "If you're slow cooking something like beef cheeks, the longer you keep, the tastier it gets." "In F&B, most costs come from rental and manpower, not food. If you can lower the cost and risk involved, I think it will encourage more people to try." Food outlets are getting in on the action with food-tech company Frshly, which will sell hot meals from restaurant partners at its machines when it launches in September. It currently has 10 restaurant partners, including Ponggol Nasi Lemak and Cali Grill and Bar. Restaurants are provided with trays and packaging stations, and food is picked up and stocked just before mealtimes. Customers can order from up to 25 meal options from five to seven restaurants at each unit, which measures 5ft by 9ft and can hold 150 trays. After payment, a robotic arm will deliver the correct tray to one of two microwaves, and the food will arrive at the delivery window within 90 seconds. Its current configuration can serve 120 people in an hour, said Mr Satish Chamyvelumani, chief executive officer of Owl Tech, which owns Frshly. Frshly has 18 units in India, and its best-selling outlet at a railway station serves an average of 1,000 meals a day. "Consumers in Singapore are super intelligent and tech savvy, and I think acceptance of this concept will be better than other places. It's no different than takeaway," he said. Five machines will be launched by the end of September at business parks and industrial areas, where access to food is limited. Talks are also under way with the Housing and Development Board, said Mr Chamyvelumani, who aims to launch 30 units by the end of the year and 100 in the next year. Civil servant Yvonne Hong, 28, is excited to try the new vending machine fare. "With so many food options in Singapore, vending machine food is usually a last resort. But if these fresh food machines become more common, I think that will change."